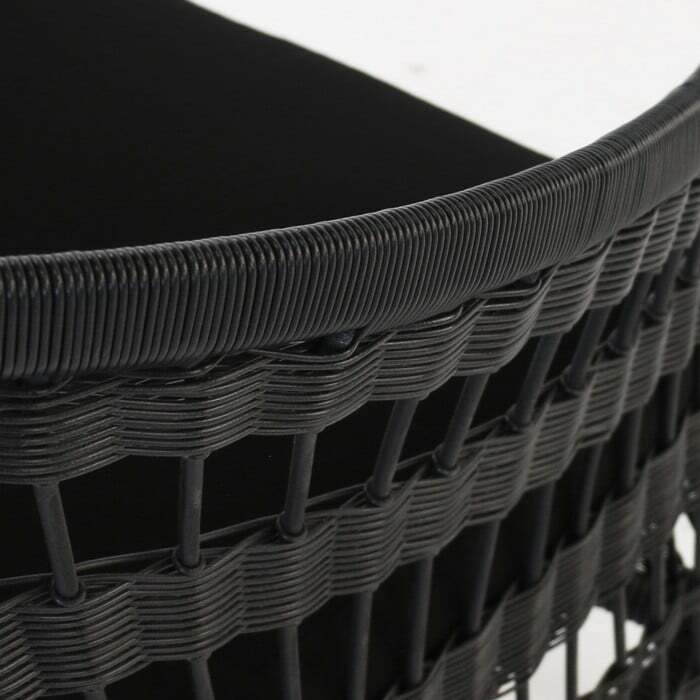 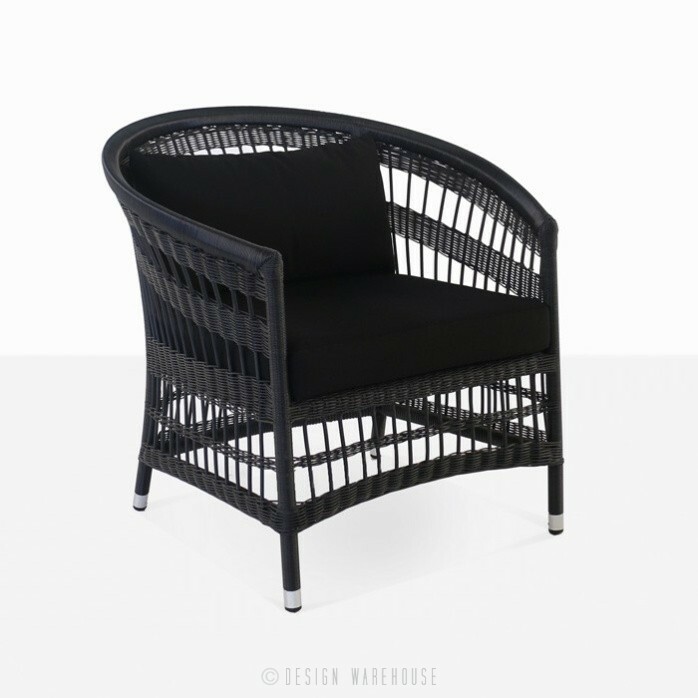 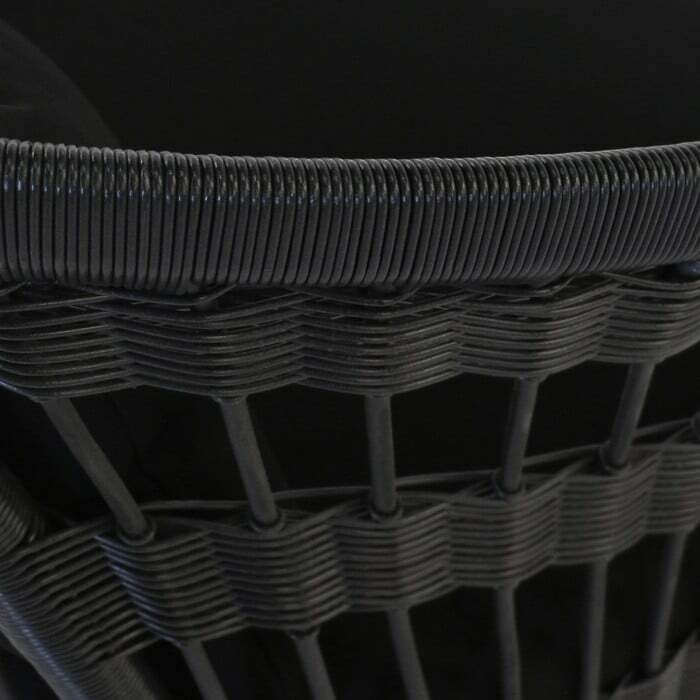 Our Sahara outdoor relaxing chair is an elegant and contemporary spin on the classic wicker chair. 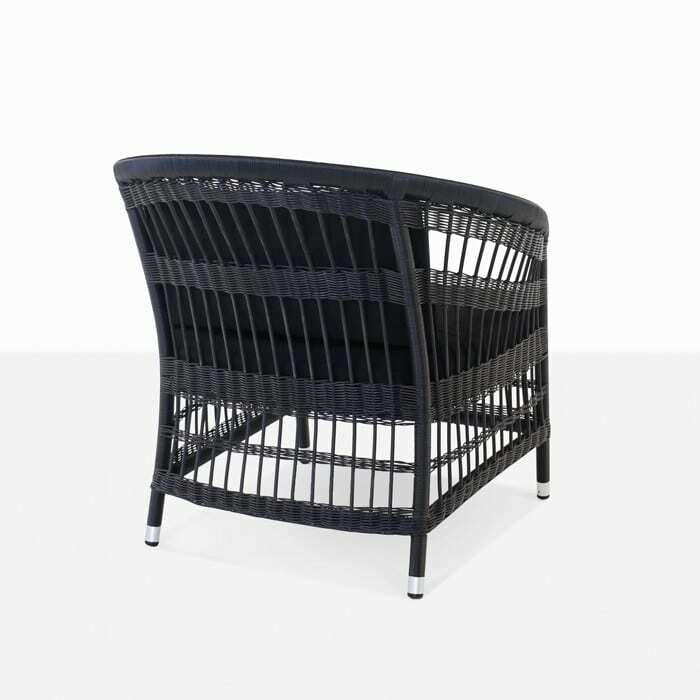 The rounded frame and striking black weave gives it a modern vibe. 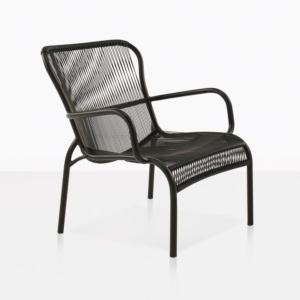 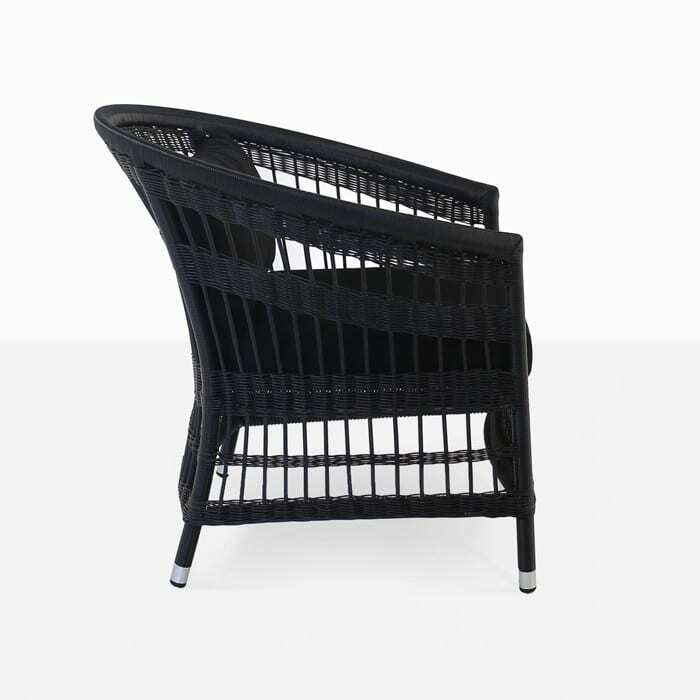 This chair is perfect for your garden, balcony or even your indoor sunroom. 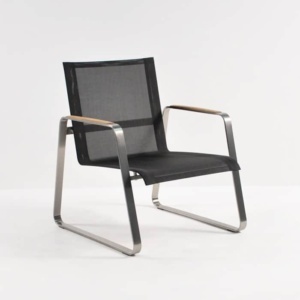 The frame is made with powder-coated aluminum to keep it lightweight and durable and the seat comes with a Sunbrella cushion and back pillow. 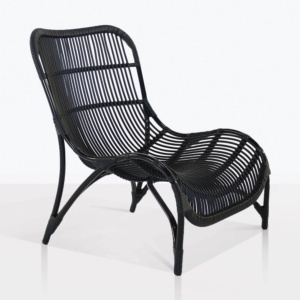 It has a large deep seat that is very comfortable.